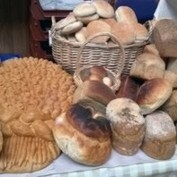 Range of high quality baked goods, including ready meals plus fresh meat, sausage etc. 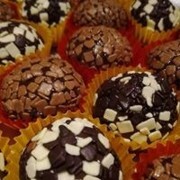 Home-made cakes & sweet treats, sponges, loaf cakes, scones, fruit cakes, brownies, flapjacks, quiches, etc. Authentic Indian cuisine including pakoras and samosas. 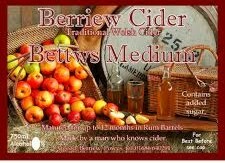 Homemade jams & jellies, marmalades, chutneys and fruit-infused vinegars. Homemade preserves and market garden produce: fruit, vegetables, herbs. Home-produced chicken, eggs plus Appleby’s Cheese and Great Berwick Beef. 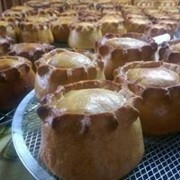 Traditional ‘hand-raised’ pork pies; pickled onions. Italian deli products of the highest quality – coffee, cheese, salami, pasta, wine etc. Pâtés – chicken liver, fish, vegetarian, vegan; cheese rarebits. 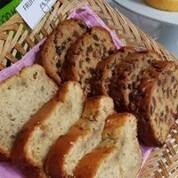 Bakers – selling a range of breads, pastries, savouries and cakes. 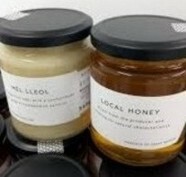 Marmalade Market plus Jams, Jellies plus information about the society’s activities. 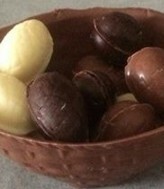 Chocolate, filled, solid & bars, novelties. 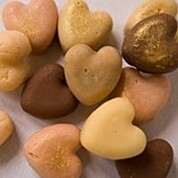 Luxury handmade chocolate confectionery and gifts. 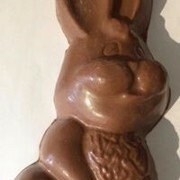 Easter ducklings and Easter eggs plus bars and truffles. 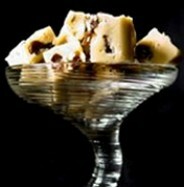 Handmade, award-winning fudge from the mountains of Wales, free from gluten, palm oil. 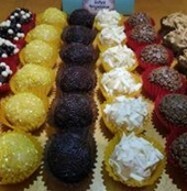 Handmade Brazilian confections made from condensed milk infused with flavours such as lemon, almond, salted caramel, etc. White, Red, Rosé Wines, and an English Sparkling Wine, estate grown. Bottled beers and real ales brewed at The Plassey; branded glasses, gift boxes. 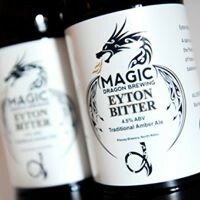 Family-run small craft distillery based in Ellesmere. 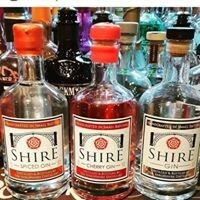 Range: Shire Gin, Shire Spiced Gin, and Shire Cherry Gin. 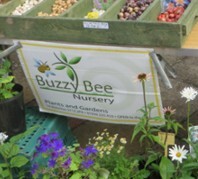 A local nursery (Whixall), bedding plants, heirloom vegetable plants including tomatoes. 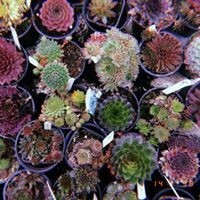 Local nursery - Hardy Perennials, Herbs, Grasses. Sweet Pea related Gifts, Crockery, Notelets plus info about sweet peas. Wide range of hardy trees and shrubs. Knitted & sewn items including children’s clothes. Unique designed & bespoke hand crafted bags using designer fabrics by Alexander Henry and Robert Kaughman. 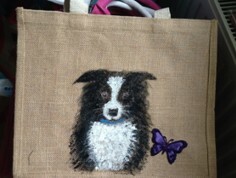 Local amateur artist creating painted jute/canvas bags, cushion covers, hangings, hand painted glass upcycled bottles. Hand-made Gift Cards, suitable for lots of occasions. 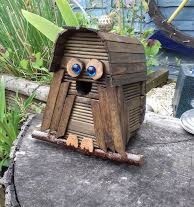 Handmade wooden birdboxes (many designs), Bird Tables & Feeders, also a range of coasters, money boxes and walking sticks. 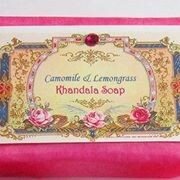 Natural soaps, moisturisers, hand creams & balms. 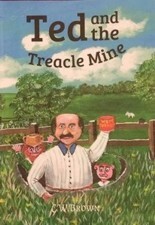 Handmade children’s books (Ted Eckford, champion sweet pea grower, who discovers the mythical treacle mine); prints of the art work, greetings cards. 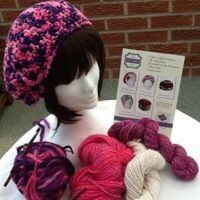 Hand knitted items for adults and babies. 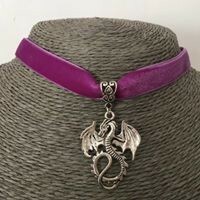 Handcrafted items, using carefully chosen fabrics, quilted/ beaded cushions, soft toys. Gemstones and silver plate, keyrings, boxed sets. Delightful MDF homeware & nursery items, painted and decorated. 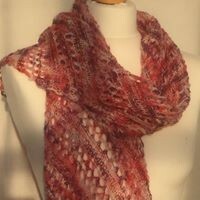 Handcrafted accessories, hats, bags, scarves from quality textured yarns. Our own handcrafted photographic mounted images and greetings cards. Local artist creating realistic pet & family portraits, coasters, plaques. "Shropshire's local wildlife conservation charity; we own and look after 38 nature reserves across Shropshire." Handmade walking sticks – profit to Severn Hospice and Blind Veterans. 2 Food Hampers, one with food from abroad and another with food from the UK. Attempt Wem Civic Society’s ‘Wem Trail Quiz’. The quiz can be picked up from the Information Point or the society's stall in the Baptist Church. Completed quizzes should be returned to Wem Library. ‘The Great Escape’ featuring the story of Wemian, Cyril Swain, one of the escapers from Stalag Luft III, murdered by the Nazis around March 31st 1944. More information to follow. 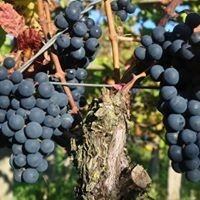 The 10th Wem Harvest Market will be on Saturday September 28th 2019.